Fantastic large white flowers brushed with rose and pink along the petals edge. 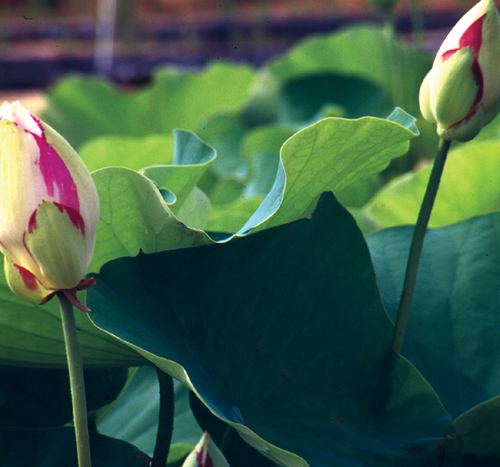 A full size variety for medium to large ponds. This one is best suited to a large container with plenty of fertilizer. 3 - 5' tall.